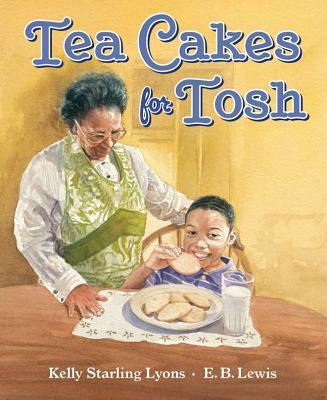 I just put the finishing touches on a Discussion/Activity/Genealogy guide for this most amazing picture book, Tea Cakes for Tosh, written by the lovely Kelly Starling Lyons and illustrated by the phenomenal illustrator E. B. Lewis. Starling's story is one of warmth, devotion, and confusion. In it, Tosh relishes in the retelling of his family's past told by his grandmother, Honey, while she makes tea cakes from a recipe passed on through generations. Like the familial stories, she recalls the recipe from memory. The recipe, like the stories, are an innate part of her being, and as Tosh discovers, an important part of him, too. When Honey's memory begins to fail, Tosh must assume the role of tea cake maker and family story teller. The book is set to launch December, 2012. It's one to cherish, for sure!